The rains slowed down a little bit yesterday, so the dogs were happy to stretch their legs and have a little romp. Of course new girl Pink was in the middle of the fun. Toledo animal control - Bounty hunters? KC Dog Blog has been steadily reporting some BIG news out of Ohio. 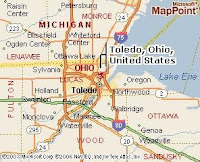 Toledo has had a reputation as being one of the country's biggest death camps due to a decades-long no-mercy policy that not only barred pit bulls from surviving the shelter, but permitted dog wardens to enter private property to seize - and in most cases destroy - dogs they believed to be pit bulls. Incredibly - according to the Toledo Blade - the city paid the warden's office a 'bounty' of a $100 for each citation they wrote against pit bull owners, which as Brent Toellner explains, was certainly an incentive for Toledo's hyper-focus on punishing pit bulls. This news comes to light as historic bad guy and committed pit bull hater Tom Skeldon - Chief Dog Warden for Lucas County - has agreed to step down from his position thanks to public pressure. 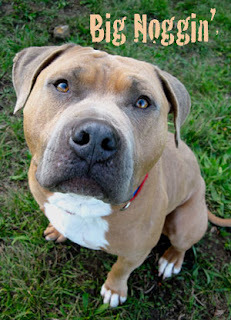 More recently, Ohio's BSL (breed specific legislation) was found to be unconstitutional by a Toledo municipal court judge. Skeldon has done an incredible amount of damage over the years, not only to innocent dogs and the lives of committed families, but his mindset has certainly influenced and infected some of the animal welfare community. We were - what's the right word? - horrified - when he was invited to sit on a panel that discussed pit bulls at the Society of Animal Welfare Administrators (SAWA) yearly conference in 2006. Skeldon's bio for the conference: Thomas G. Skeldon is the Chief Dog Warden for Lucas County, Toledo, Ohio. Through the advocacy of stronger laws, judicious use of the local media, and strict enforcement, Skeldon has worked vigorously and successfully for the last 20 years to combat the problem of vicious dogs in Lucas County. 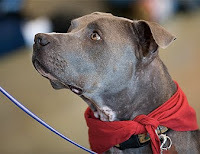 Ohio state law defines pit bulls as a vicious breed, which makes them very popular with bad guys who love the idea of owning a vicious animal, and nearly impossible for committed owners to own. We're thrilled that the tide is slowly changing for pit bulls in Toledo especially and things are looking UP, but dog advocates have years of work to do to undo the damage done to the breed in Ohio and beyond. 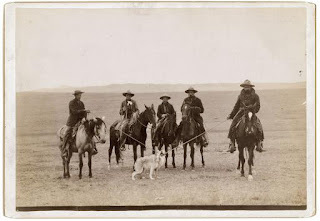 Photo above of bounty hunters roping a wolf compliments of Howling for Justice, a blog that follows the persecution of the gray wolf. Got cabin fever yet? We do! and we're looking forward to busting out on Feb 20 at Bullylicious, a party designed to promote Pinups for Pitbull's annual calendar. Paco Collars go-to girl Ana Poe is Miss October, and she'll be there in living color to sign (and sell) calendars along with Pinups for Pitbulls organizers Little Darling and Audiogirl. This is an adult-only evening as Little Darling, Bunny Pistol and Barbary Coast Burlesque take over the stage and do their thang. The event will raise funds for Pinups for Pitbulls and BR with a raffle and silent auction. If you have auction goodies, please contact anapoerocks@yahoo.com. Suggested Donation: $10-$20 includes food and cash bar. Music by 77 El Deora and Patty Schemel. Dogs by, well ... you know that one already! Organizers Donyale Hoye and Ana Poe say "Dress like you want to party!" We're so happy to report that you did it - You helped us raise 100K to make a modest BR holding facility a reality, and you did it with a bang. We were inching our way towards 'Done!' in the final push of our campaign when an anonymous donor came through and donated the last 8K to rocket us over the finish line. We were dancing like crazed fools around here with the good news. Raising that kind of money during such dry times was a tall order, but this campaign came together in only six months time. Amazing. We're proud to tell you that every single dollar came from a "common Joe" pit bull owner or supporter and in many cases, their employee matching donations ... We didn't receive any monies from large orgs; it all spilled out in heartfelt gifts large and small from real people all over the country. This is the power of the love that exists for these dogs. To be honest we've been holding this happy news for a couple of weeks, but needed to fuzz out a bit while we dealt with the death of our pet. Losing Simon before the barn was done was especially hard; I'd really hoped it would be completed before he left us so he could bless it with his smiles, like he's done for so many BR projects over the years. We decided to bury our friend next to the barn - under its front porch, actually - so his big happy spirit can watch over every dog and human who uses this space. Despite the heartbreak in our holidays, it felt great knowing that we would be able to start the new year without needing to beg up funds for the bones of the project anymore. A huge relief! But what about that barn you ask?! Where are the photos of the finished product? I wish we could show them to you, but we've been in a holding pattern since December as we deal with city furloughs and temperamental employees in our broke city, variances, and yet more building permit delays ... What a hassle! We've heard what a pain it can be to do things by the book, but this is starting to feel like Chinese water torture. We're doing our very best to be patient knowing that there are plenty of dogs out there who need help. While we tap our fingers over the permit sign-offs (once we're signed off, our contractor predicts 2-3 weeks to complete), we're pulling together the final materials needed to make this place a dog home. 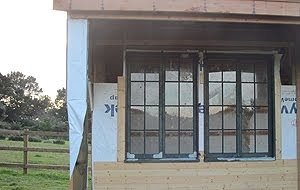 We're lovin' the windows! At the bottom of this post, check out the little video of trainer Linda Chwistek and her boy Audie having some fun in the yard just outside the barn. A sign of happy times to come! Listed are the names of the people who helped us cross the finish line of this fundraiser....Thank you, thank you, THANK YOU! Susan Mitchell, Lindsey Wetterhahn, Kristen Hopkins, Aimee Chagnon, Edward Mittlestaedt, William Wilson, Robert Morisky, Maria Paladino, Sarah Covert Flory, Todd Antonuk, Katherins Pitts, Myra Tamanaha, Mark Johnson, Rachelle Valente, F. Matthew Zanner, Patricia Weisenberger, SWM Automotive, Andrea Stout, Julia Price, Jeanine Hebdon, Jennie Pack, Sue Hildebrandt, Jenifer Usher Toyomi Stinson, Sara Gann, Shaun Niel, Carol Lane, Tracy powell, Lisa Parmley, Michele Burbano, Angela Chua, Naalie Bowen, Carol Toms, Donna Smith, Mark Paul, LisaMarie Wame, Joyce Chen, Pablo Diaz, Tom Schmiegel, Robert McNicholas, Janel McDonald, Devera Shapiro, Laurence Berland, Nafija Weston, Kellin Defiel, Sherin Halfon, Elains Goodwin, Mary Jo Cananico, Daniel Roll, Nina Glikshtern, Richard Stewart, Katherine Nichols, Deborah G. Meads, Dorothy Mora, Nicole Vonderheide, Beverly Lawrence, Veronice Selco, Elaine Kuo, Amanda Williams, Joseph Tinner, Kaelin Dodd, William Thompson, Carolyn Mcintosh, Anna M. Stone, Kolleen Dohermann, Donna Blackwell, Esther Shir, Kare J. Anderson, Luisa Serrano, Anita Michel, Christine Mcgettigan, Debra Mittleman, Natalie Ucci, Sharon Scharm Harris, Sheri Cardo, Cris Cohen, Thomas Strother, Roxanne Alden, Molly Fleischner, Carly Selzer, Letti de Little, Renee Beltrenena, Cathlyn Valera, Michael Balter, Serena Gelb, Maria Harrington, Berth Cannon, Jill Morrow, Karen Jansson, Jamie Reilly, Pamela Quarterly, Emiliy Farrell, Louie Bernardo, Herther R Hanly, Kathleen Watkins, Carl M Classon, Vanna Pichel, Katie Moyer, Renee Bea, Karen Anderson, Deassa Binstock, Holly Schneider and Erin Oconnor. 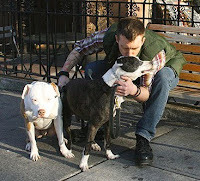 It's nice when pit bull rescue people don't have to be the only ones to harp on about leashes. 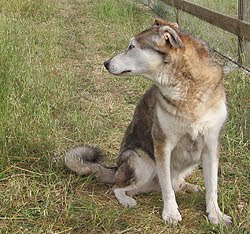 This comes from the Malamute people, who must get a million headaches in their mailboxes from nordic breed owners who want a born-free kind of experience for their dogs. There's some really good sense in this essay. Thanks for sharing with the rest of us, Malamute friends. 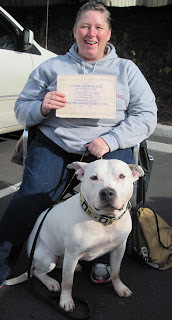 Twelve of thirteen dogs passed! 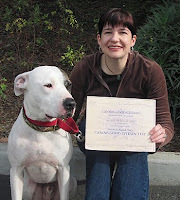 Right: A very happy Seam with her brand new CGC star, Rio. There were as many happy tears and hugs as there were smiles. CGC Tester Jenny is thankfully tough and holds the bar high for handlers, so passing the exam under her watchful eye is well-earned and extra sweet. I think we might've even spied Coach Linda (left) shedding a tear or two as she watched her pupils step through the testing. She knows better than anyone how hard some have worked to shine up one or more parts of the test. Included in the happy crowd were the proud owners of former Vick dogs Ernie and Teddles! Ted (Right) nearly passed his exam last year, but a scary train rattled by and knocked him off his game. 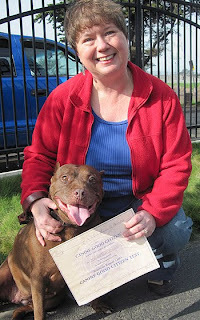 A year in his new home with a devoted adopter seems to have made all the difference; Teddles barely noticed the train that rumbled right on by the testing grounds today and together, they passed the exam. Way to go Cindy and Ted! Ernie's mom Sasha (Left) jumped some hurdles herself getting ready for the test. Her dorky boy used to spin and spazz and bark at other dogs in his early days with BR. But her calm, steady perseverance paid off and today Ernie is a brand new dog. They waltzed through the exam today like old pros and our hearts soared for them. Another dog that got us cheering was Frida -- Frida! She breezed through the exam with her lady Yvette like she was born doing obedience. I only wish we had video of how naughty this Sassafras used to be in Pit Ed class way back when. 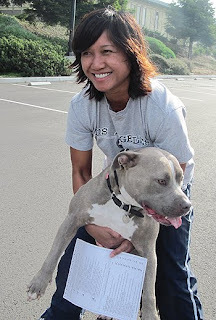 Frida is a shining example of why people with leash-reactive pit bulls need not give up hope. 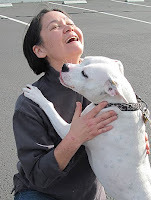 A hardy thank you to Linda for volunteering so much of your time to help dogs reach their potential and thanks also to Jenny for testing the dogs. We're so proud of every dog/person who took the test today. You're all heroes to us. For the full scoop, check our Hall of Fame page in a few days to see the names and photos of the new CGC Stars. Below, Chui with Bob the Dog helps Clover show off her dog/dog manners as Judge Jenny looks on. Quaking in the heart. An uncanny season of loss. It makes no sense to our mortal brains, but the earth and stars seem to have decided to open up and shake the living hell out of us this past week. 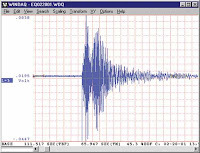 The sheer number of souls that have been taken from Haiti is mind-boggling ... I'm sure we're all twisted in knots as news reports on this terrible tragedy roll in. What's going ON? Did someone, somewhere predict this gut wrenching time of transition? Sun conjuncts Moon’s North Node and Venus conjuncts Moon’s North node on January 11, 2010 This is a time when you should be wary of the unknown; things won’t be what they seem to be during this period. 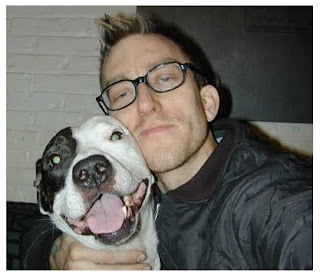 Author Jon Bozak (left) lost his boy Demo last week and we're all so sad for him. It's not often that dog and man come together to fuel a revolution of the heart. 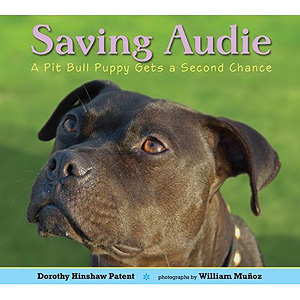 Demo, as many know, was the subject of an influential book that every pit bull owner in the country probably has (or should have) on their bookshelf. Our deepest regrets, Jon. We were also so very sorry to learn that diehard BSL-fighter Andrea Kilkenny lost her beloved dog Scooby at nearly the same hour. And close to BR roots, we just received news that a BR alum - the eternal frat boy Buzz - died of liver failure just yesterday. Buzz (above), like so many of the dogs that inspire and change us, had a larger than life personality that caused us as much headache as glory. 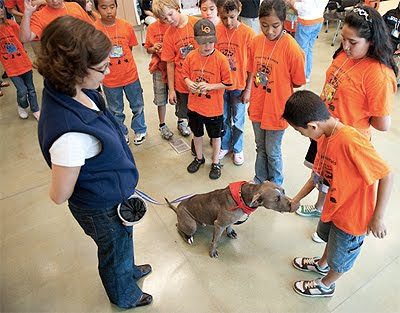 He started out as a leash reactive bad boy and, under the tutelage of his fosters-turned-adopters Jaime and Ron, went on to become a mighty fine ambassador who educated thousands of school kids with lessons in humane education as well as empathy for pit bulls. This memorial to Buzz says it all (and his Happy Endings story is definitely worth a re-read). The earth shook loud when these dogs left the planet. Godspeed to them all and much gratitude to their people for sharing their teachers so selflessly with the rest of us. We lost an important member of our family last week, so have been turned inside out a bit. Simon came to us from Oakland Animal Services over 13 years ago and has been the faithful keeper of our hearts since then. 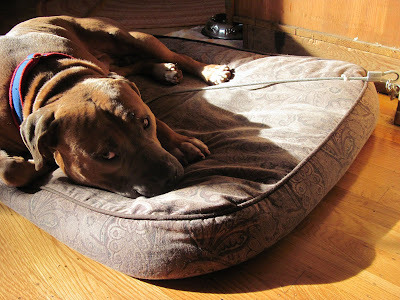 He hosted hundreds of pit bull foster dogs in his home, and only complained if they tried to take his ball or step foot in sacred turf -- our bedroom, of course. He reminded us daily that life was meant to be lived large with as much jubilating as your lungs can muster. He also reminded me - quite often! - that while pit bulls were very special indeed, they're really only just dogs, and the most important dogs will always be the ones that call you family and turn you into better people. Dance on, my little buddy. You did such a good job. New guy Huck was very very naughty in his foster home. While his people were away, he rammed his big fat head against his crate and chewed and squeezed and pushed until he was free, free, FREE! to piss! poo! chew! and otherwise rampage to his heart's content.... Wheee! Needless to say, this did not go over well with his hosts, who promptly bounced him back to BR headquarters for problem solving. Some dogs just hate having a barrier in front of them. Occasionally these are dogs that have lived their lives on chains or tethers, and/or dogs that have been locked up (in a shelter, for example) until they build an aversion to confinement that just won't quit. If you're a tenacious lil' pit bull - or a dog with a head the size of a bowling ball like Huck - a little piece o' vari-kennel plastic and some bendable bars ain't nuthin'! Especially if you have eight or more hours to spend on designing your perfect crate-escape. Many people mis-diagnose dogs with crate aversion as having separation anxiety. That may be true in some cases, but if you're dealing with an otherwise well-balanced dog - a pit bull especially - crate fussing is generally connected with 1) a bored, under-exercised dog 2) who is more than happy to spend his unused treadmill or spring pole calories on destroying that obnoxious barrier that's getting in the way of his fun. Huck is not what you'd call an energetic dog, but he's happy to use that big head to get what he wants...Namely, freedom. Stuffy vari-kennels were a no-go for him. A reinforced wire crate was more his style, but first we had to get him over his funk about the whole mess. Lucky for us, he's accepting the tie-down with no more fuss than this classic "Woe is me" face. He's not obsessing on a barrier in front of him so he's happier, and since he can't graffiti our house with urine, we're happy too. Tie-downs are a rescuer's best friend. They give us a valuable alternative to crates so we can build up a dog's tolerance for confinement while fine-tuning their exercise needs and basic house manners. 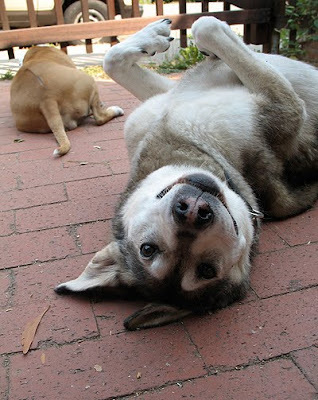 Dog trainer Shane Stanis wrote one of the best how-tos for tie-downs that we've seen, back when we worked together at the East Bay SPCA. It's a few years old, but the info is still good. We only have two exceptions: Some recommend against leaving dogs on tie-downs when no one's home to supervise. 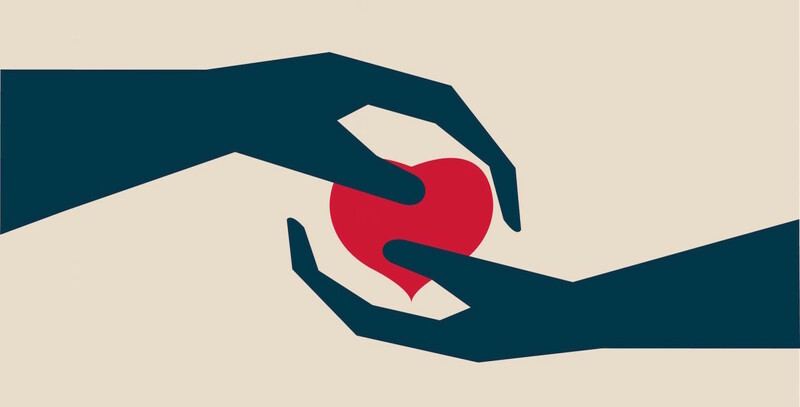 While that's good advice for new adopters, experienced foster homes can usually make that decision at their own discretion. We do it all the time. The trick is to use a tether that can't be chewed - we like a plastic coated cable - and make sure the dog is 100% comfortable and relaxed on this set-up before leaving the house. 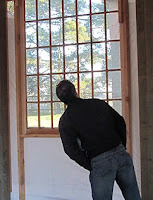 To secure the tie-down, plug a heavy duty eye-hook into the hardwood molding of the room. If you're a renter and are afraid of causing damage -- don't fret. You can plug that hole up with wood paste before you leave and your landlord will be none the wiser. Give the dog the coziest bedding you can find and turn on the telly or radio. You'll also want to make sure that your dog can't reach any illegal chew items, and have that lovely stuffed kong all frozen and ready to go. Good luck! And please share any favorite tips you've found for helping your dogs stay safe and confined while they acclimate to life in a house. Yesterday, during lunch with friends and a foster dog, a woman we've never met jumped out of her van with a big warm blanket for my foster dog, who must've been looking chilly under my chair. California winters may be tropical by midwest standards, but they're still winter! She swaddled him up until he was swallowed in swirl of fuzzy red Elmos, patted his big fat head, smiled big and then said, "When you leave, you can put it back in my van. It'll be unlocked." And it was, and we did. Our hearts melted. What a beautiful, perfectly random act of kindness! Next weekend, a not so random act of the same kind is being organized by a group of bakers who want to help our dogs as well as local school kids who are learning about urban farming. 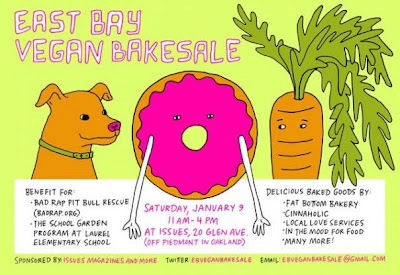 They'll be baking all week long in prep for a vegan bake sale that will take place in front of the most wonderful Issues Magazines store in Oakland, just round the corner from Peets on Piedmont Ave. How cool! I can't wait. Proceeds go to BR as well as the School Garden Program of Laurel Elementary School. Come on down this Saturday Jan 9 from 11-4, grab some sweets, meet some BR dogs and say hello to some of the nicest bakers around. And while you wait for Saturday to get here, see how many random acts of kindness you can extend to the chilly creatures that you meet this first week of the new year. It could become a trend! Thank you East Bay Vegan bakers for your big hearts and your labor of love!